Final departures, fateful errors, and a first-and-last message to a child. Not to mention THE SHOT. Which SHOT are we talking about? 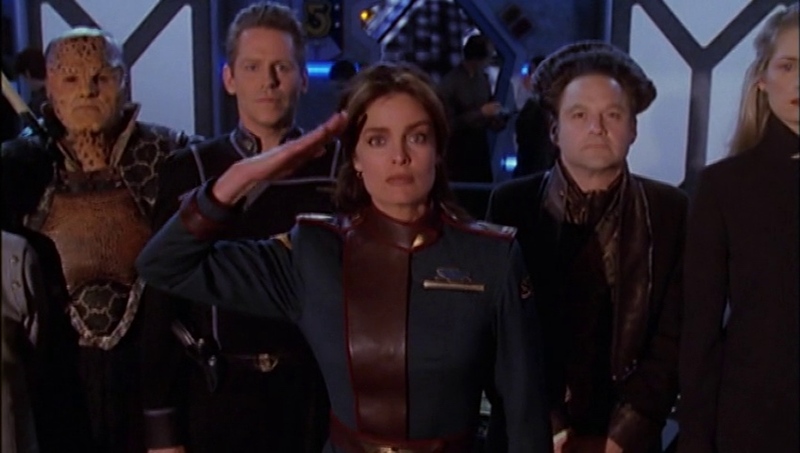 Find out as we discuss the penultimate-penultimate story of Babylon 5’s fifth season! …not that there’s much left to be spoiled about! There’s only one TV movie and one episode left in Babylon 5 proper! But if you’re new to the show and want to speculate about those episodes, here you are. For spoilers, go to the other place. The thing happened. The thing that Spoiler Space in the podcast was made for. The thing that we spent so much time analyzing hints and signals from previous seasons finally happened here.